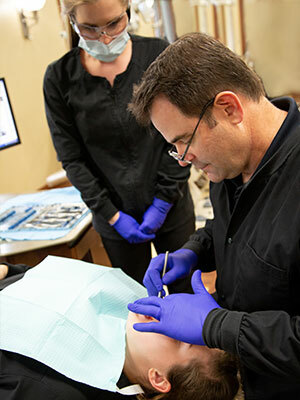 Apple Creek Orthodontics of Appleton’s practice philosophy is based on dedication to our patients. We truly celebrate when patients get their braces off; we have had a lot of “tears of joy,” which is absolutely the best part of working at Apple Creek Orthodontics. We strive to get to know each and every patient on a personal level, and treat everyone as we would treat a member of our family. Instead of the doctor bending an archwire by hand, a SureSmile wire is custom-shaped by a robot. SureSmile wires move each tooth directly to the prescribed position based on the doctor’s treatment plan. Less time spent in treatment and fewer visits to the orthodontist; conventional treatment without SureSmile results in more office visits and longer treatment times. SureSmile archwire provides smoother movement for a more comfortable experience than traditional braces.